The Seva experience on the path of spirituality with Dr. Harrison Graves, MD. "To increase our joy we must share joy with others. Giving is essential for spiritual growth. A willingness to share what we have and to help others is called seva. Seva connects us to others and makes them a part of us. The barriers dissolve that separate our happiness from their happiness. Lingering moods of unhappiness or depression dissipate when our focus is on helping someone else." Make service a way of life — and be happier. This article first appeared in the Art of Living Retreat Center. For more info on the inspiring programs and social initiatives that Art of Living members have participated in, please see the IAHV site. 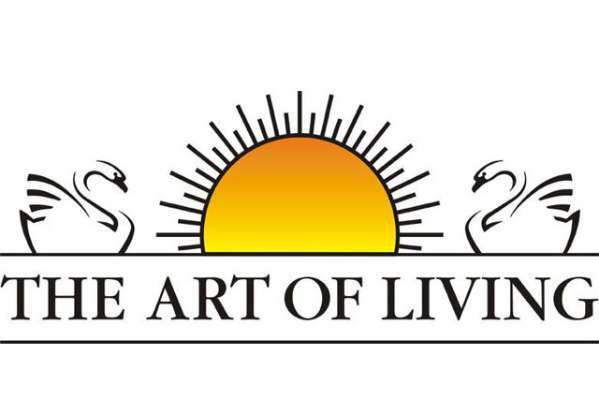 Interested in learning more about programs at the Art of Living Retreat Center? Check out the annual catalog here. ​Dr. 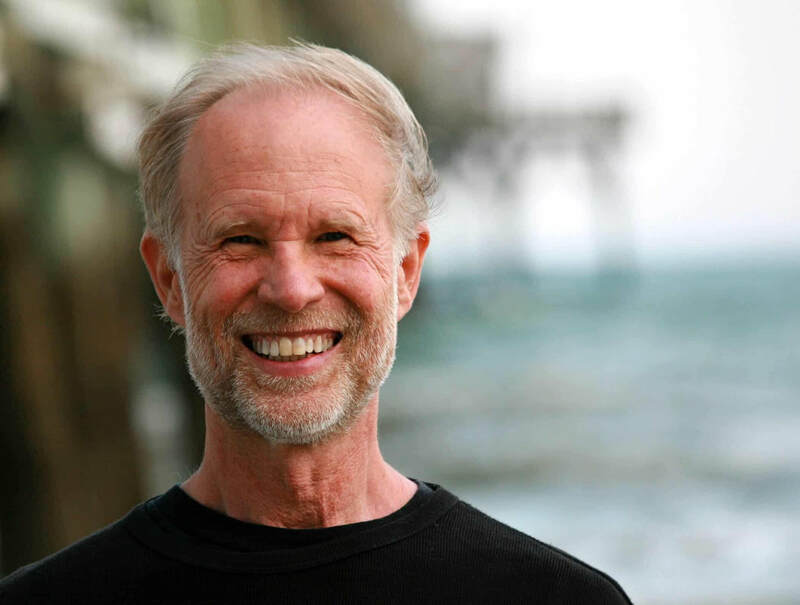 Harrison Graves MD FACEP is a physician, yogi and author who teaches mantra meditation as an alternative and complementary treatment for anxiety and depression. After a long career as a board-certified emergency physician and associate UNC professor, Dr. G. left the ER behind to pursue a new interest: the Yoga of Sound (aka Ayurvedic Sound Healing). It is the yoga of healing music and healing mantra. Dr. Graves currently writes alternative medical blogs and teaches mantra meditation at the Art of Living Ayurvedic Retreat Center and Spa, high in the mountains of Western North Carolina. These 3 Questions Will Transform Your Relationships for the (oh so much!) better. Keys for a better relationship from R.R. Shakti, PhD. MJ and I have been together for fifteen years. Most of that time has been pretty easy, but there have been moments (or months) that were down right HARD! We struggled to communicate, failed to see each other's point of view, and generally lost our way. Through fits and starts, we have made it to the sweetest, juiciest, most connected time of our Love...so far. If you are trying to find Love but your wheel is spinning, get yourself back to your center. That's where the Love originates. ​Breathe, meditate, practice you...then ask your lover the following three questions. They will completely transform your relationship for the (oh so much!) better. 1. WHAT CAN I DO FOR YOU, TODAY? It's easy to get caught up in the feeling of lack–"not enough" time, money...energy. We unconsciously turn to our partners to fill the perceived void with a "what can you give me?" approach to relationships. And before too long we feel that we are just not getting our needs met. But when you embrace the reality that you are a uniquely embodied expression of the Infinite, you come to know your Self as whole–complete just as you are. You recognize that your partner, too, is a uniquely embodied expression of the Infinite. You see every person as a uniquely embodied way for Infinite Consciousness to witness itself, that is, to experience "with-ness." With-ness requires a subject/object relationship, after all. There must be a semblance of "otherness" in order to experience "togetherness." Creation stories worldwide explain that the playful and sacred dance of relationship requires a singular Infinite Consciousness to become two (and then myriad more created things) so that Self-knowledge, aka Source-knowledge, aka LOVE can actually happen. When we Love each "other" we are fulfilling the universal destiny of reunion with Source. "What can I do for you, today?" "What can I do in the service of Infinite Love, today?" "What can I do for my Self, today?" When we serve each "other," we serve the One Love that abides within–beyond all opposites. 2. WHAT AM I NOT SEEING? Because we are each uniquely embodied expressions of Infinite Love, we each witness the human experience from a distinctly unique point of view. Friends, lovers, co-workers, even so-called "enemies" can be our greatest mirrors, revealing our blind spots. From his vantage point, my partner sees things that I sometimes overlook. Once a week, or so, I will ask him: "What am I missing?" It gives him an opportunity to air his grievances in a loving way...before they get bottled up and shaken. It gives us both permission to be human. We grow together as we help each other broaden our scope and clarify our vision. I have to let go of my ego's attachment to being "right." I have to listen without defense, which can be a colossal challenge sometimes. There is nothing more delicious than feeling Loved in my wholeness–feeling Loved in my complete and vulnerable humanity. When I let myself be wrong, it allows someone to Love me anyway–unconditionally. Some of the deepest bonding happens when I let my lover clean my lenses and receive the valuable insight of his heart's unique perspective. 3. WHAT IS YOUR SOUL'S DREAM? 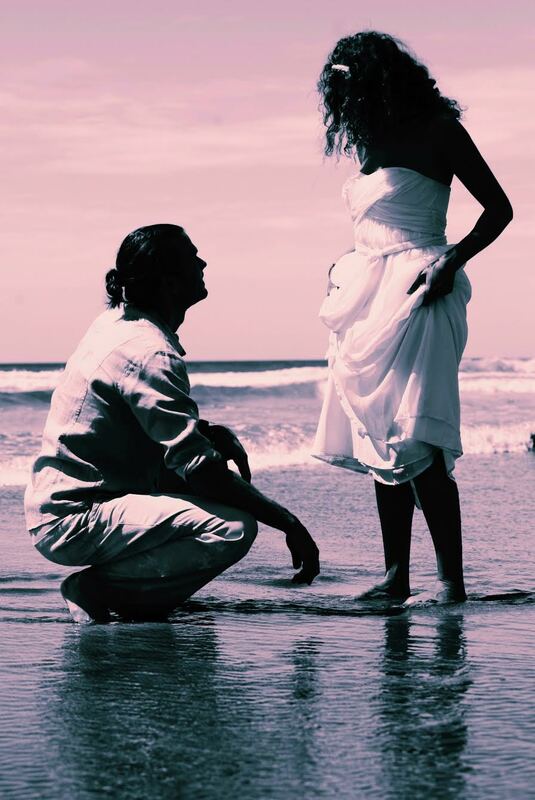 According to teachings of non-dual Tantra, every person shares a common Soul's purpose: to live our lives as uniquely embodied expressions of One Love. ​Your unique expression of Love may take various forms throughout your human experience, as you awaken more and more to the reality of your infinite potential. Your intentions, visions, hopes, and ideas are the stuff of your Soul's dream. You get to decide how you want to express your particular embodiment of the Infinite...to the world. It may look quiet or rowdy. It may be earthy, watery, fiery, airy...or outer-spacey. It might include flowers, computers, baked-goods, and/or jokes. This is your story. And you are a Soul Artist. The full moon is a sacred time for connecting to an "other." Allow your light to illumine each other's hearts. It can be a powerful time to ask your friend, sister, father, or lover: "What is your Soul's Dream, in this moment...right now?" the dream that comes unabashedly, ecstatically, and giddily from the Soul. Invoking the principles of Courage, Compassion, and Creative Clarity with R.R. Shakti, PhD. Maha Navaratri is one of the most celebrated Indian holidays, occurring every year on the new moon in the Vedic month of Ashwin, near the autumnal equinox. Nine nights are dedicated to the feminine principle. The archetype of Durga is honored during the first three nights of Navaratri. She is the “invincible” one, who slays the demons of ego delusions, ignorance, and self doubt. Like Kali, who is actually an incarnation of her, Durga is a great destroyer. She rides a lion into victory and symbolically guides all spiritual warriors into the first phase of the alchemical journey to help establish courage and compassion in the face of fear and confusion. For the next three nights, the Lakshmi archetype is honored. Lakshmi means “goal” in Sanskrit and she symbolizes abundance, beauty, and the enjoyment of worldly delights. She guides you along the spiritual path to awaken santosha (deep fulfillment). Her image invokes gratitude, creativity, and an unconditional love for life. The final three nights of Navaratri are dedicated to Saraswati, whose name, when translated from Sanskrit, means “essence of Self” or "truth of Self." Saraswati carries a book, mala and a musical instrument. She is the archetype of the arts—learning, knowledge, and wisdom. She provides the creative clarity to realize your true nature as an expression of Infinite Consciousness. These feminine principles are honored in this particular order because only after you have passed through the first two initiations of courage and compassion can you be ready to access your heart’s full awakening into creative clarity—the realization of who you really are! This celebration is an opportunity to recognize the divine feminine principles within YOU! The Devī-Māhātmya is a celebrated Indian text. It provides a Goddess revolution that emboldens the non-dual traditions of Hindu Tantra. It forms the foundation of the Navaratri Celebration. The story is recited during the nine nights of celebration and each of the nine goddess images hail from the mythic vision of Devī. 2. Decorate your altar with the three images of Durga, Lakshmi, and Saraswati. The first three nights will provide an invocation to the fierce warrior goddess, Durga. Nights four through six will honor Lakshmi, and the final three nights will celebrate Saraswati. You will want to change the images and offerings on your altar to reflect the particular invocations of each day. 3. Light a candle or small, safe fire. A fire burns continuously for the entire Navaratri celebration. If you can secure a flame to burn SAFELY for all nine nights, this will serve as a beautiful reminder of your awakened consciousness. It also signifies your commitment to tend the fire of your heart with nourishing food, self-care practices, and continued learning. 4. Prepare soups and teas. It is traditional to fast during the nine nights of Navaratri. Fasting does not have to mean going completely without food, though. Especially during vata season, it is recommended that you keep your body nourished to stay balanced and grounded. Navaratri is a perfect time, however, to enjoy a cleanse from sugar, alcohol, caffeine, and meat. See how amazing—detoxified and hydrated—you feel after nine days of warm vegetable soups and herbal tea. The Ma Chant (Tribute to the Mother), C.C. White—This is Soul Kirtan! Navaratri Mantras & a prayer for you. 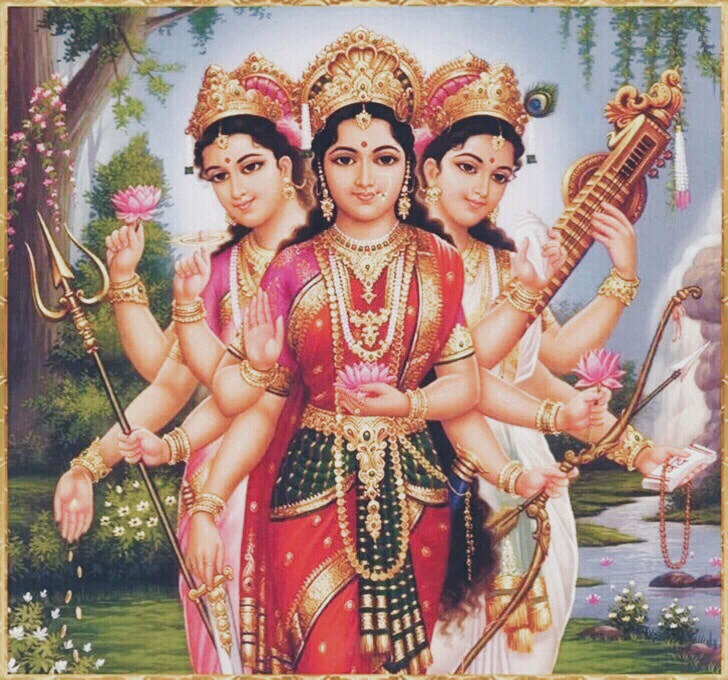 Salutations to the God/dess archetypes of Durga, Lakshmi, and Saraswati. May you face all your shadows with the courage and compassion of a love warrior. May you realize the sacred beauty of the human experience, delighting in each moment with creative freedom. May you awaken to the divine wisdom within you, realize balanced wholeness as a sacred marriage of all opposites in your life, and remember your Self as a radiant expression of Infinite Consciousness. And may you know peace. 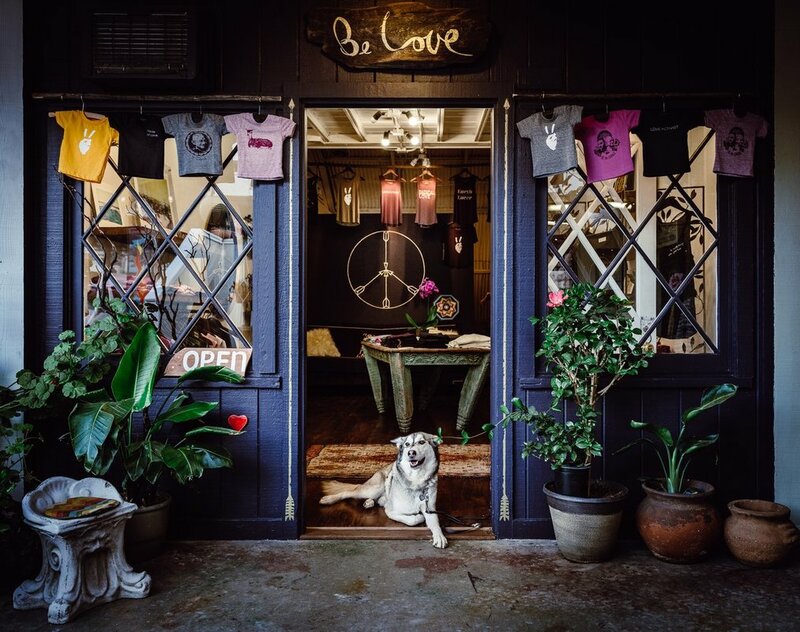 Be Love Clothing is a beloved Inner Power Yoga® Lifestyle Partner because of their commitment to sustainability and activism...and they are just really cool people! They have been offering generous discounts to our Inner Power Yoga® tribe since 2012, and some of my most cherished tees come from their inspired creativity. The last time we were in L.A. together, Gretchen and I had a chance to visit the owners of Be Love, KamGi and Kyle at their A.D.O.R.A.B.L.E. store location in Topanga CA. The entire experience was nothing short of magical. As soon as we saw them, we knew immediately: these are just really cool people! 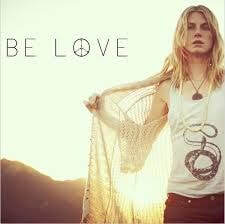 WE  BE LOVE!!! Shop their beautiful collection today! (IPY TRIBE: You get 30% off your order!) And check out all the Inner Power Yoga® Lifestyle Partners. The Peace Warrior T-Shirt is one of my personal faves. ...Love their dreamy marketing. A new declaration written by R.R. Shakti, PhD. That we are empowered by Universal Source with certain infinite potential; awakened by prana, moksha, and surrender to Bliss. As I have traveled far and wide from that little mid-western community, I have seen what it means to be an American in the light of its beauty and its paradox. It has brought me to the question of what it means (to me) to be an American yogini living in the world today. Just as the richness of our national culture is cultivated by its multiformity; so too, my personal yoga “blissipline” is enriched by many teachers and approaches to the practice. It is a celebration of diversity and of the interconnected rivers that run beneath the surface of it all. Yoga is an opportunity to initiate my own rites of passage and sacraments of meaning as they honor and edify my inner guru. It presents both an exotic adventure and a stable hOMe. I was inspired to write my “Declaration of Interdependence” based on the American Declaration of Independence which almost, but not quite, perfectly represents my personal view. As an American yogini, I am a Sat Seeker: seeking the truth of my dharma; my true nature; the truth of my relationship to the world around me; the truth in politics, religion, and sciences; the truth of my mind. When I seek truth, what I find is Self-Realization. I bear witness to the pulsation of Universal Consciousness conjoining us all. I see a holy person in a homeless person; angels in the outcast; beauty in all the races’ faces--a reflection of divinity in each one. 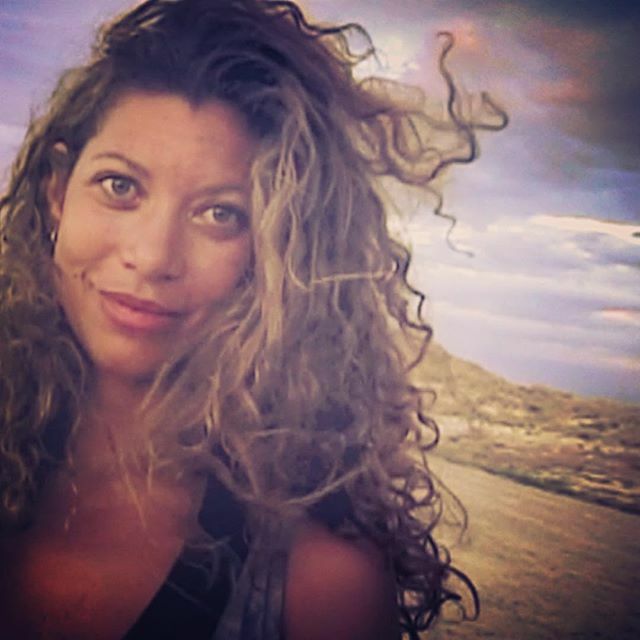 As an American yogini, I am empowered with the awareness of my own infinite potential and the potency of my choices. ...that among these are Life, Liberty and the pursuit of Happiness. As an American yogini, I’ve learned how to stoke the life force of prana within me and that moksha (liberation) is available within the next breath. I realize that so much suffering can be avoided when I stop pursuing personal gain, surrendering instead to the bliss of my true nature as Love. As an American yogini, I appreciate a community that reminds me daily of my true nature and inner power. I am honored and inspired by our interdependence. I feel grateful and blessed to be an American yogini. 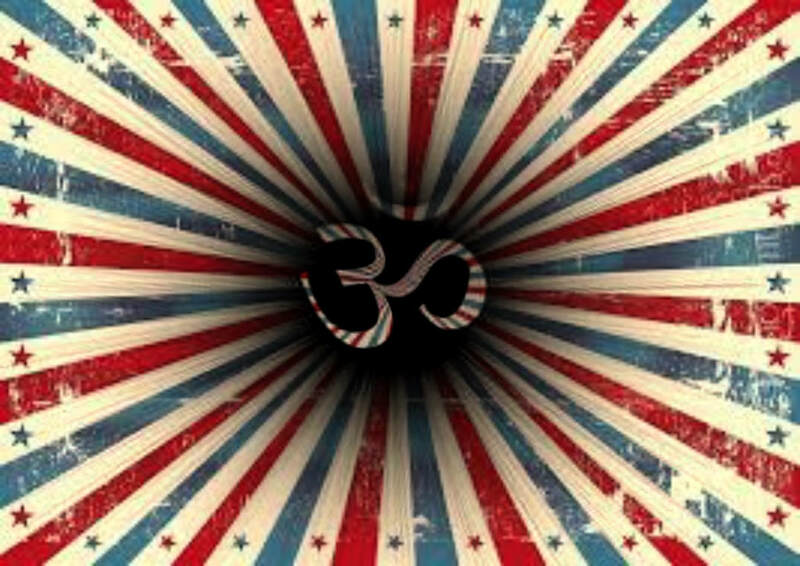 ​Namaste to you and Happy Interdependence Day! Perched upon the hilltop overlooking the festival below, unwind and find your inner warrior at the ARISE Yoga Zone. With a focus on nationally recognized instructors, ARISE features diverse yoga classes and heart-opening meditations, often accompanied by live music. A space for all to find sanctuary and release; the Yoga Zone has room to dive in, stretch out, and take in the gorgeous valley views. An Interview with R.R. Shakti, PhD. SMF: What do you plan to share at this upcoming workshop in Steamboat? SMF: Why do you practice Ayurvedic traditions? RRS: Because they work. At first it’s like a Cosmo quiz. You check all the boxes that apply: Are you kapha, vata, or pitta? It seems like people love to be labeled, you know. Like, they want someone to tell them who and what they are. But then, as you get to experience the work of Ayurveda, it becomes a living—very dynamic—practice of self-discovery. You learn how to truly witness yourself. When you are fully present to your experience, you can nurture yourself. You are your own healer, teacher, and guru. You are empowered to find balance for yourself, again and again. It’s not a static thing. It’s not really a Cosmo quiz. You just keep peeling back the layers of self-discovery. SMF: Name your three biggest influences. RRS: That answer changes often. Currently, I am digging Marion Woodman. Her work as a Jungian Analyst and champion of the feminine principle is deeply influencing my PhD work on the Hindu Goddess and Alchemical Sacred Marriage. My teacher, Sreedevi Bringi is a big influence. She always make you feel like YOU are the teacher. Her compassion and genuine Love is contagious. And then there’s my own mom. She cultivated a lust for learning within me and exemplified a contemplative spirit. SMF: Are you a mother? What is it like teaching a path of mindfulness to your child? Kids embody a profoundly human wisdom. I try to always listen. SMF: How has your formal education created a space for your creative endeavors? RRS: Words. I like to say that I don’t sling mysteries. I teach what everyone already knows, deeply, in their heart of hearts. That is what makes it valuable. My education has provided more words to use, that’s all—more ways of relating the precious things that we all already know. This is a gift because we forget what we know. The more we can remind each other of our basic goodness and inner power, the more inspired and inspiring we are for one another. I think that is why we are here. In addition, every single thing I learn opens the door to one thousand things I don’t know. It serves me well when I realize what I don’t know. Then I can be open to what another person is experiencing beyond my limited projections. SMF: What brought you to the Goddess? RRS: I would say that I have been brought to the Sacred Marriage. From a mythical, archetypal perspective that is a reunion of the God and the Goddess. Since I was a child, I have always had an intimate connection to the Infinite, without a strong dogma around my God-Image. If anything my idea of God is expansive and all- encompassing Love. But I have gotten progressively weary of the spiritual quest for transcendence. Waking up, alive, on the side of the river—now that really hurt. My broken, bleeding body quickly reminded me that it is not an illusion. It’s a real thing. I am a spirit, yes. But I am also a body, at least for as long as I am alive. And I am a mind. Through the primal instincts of my mind and my body, I scrambled and crawled my way to safety. Two things happened that day. I became less afraid of death. It also brought me to a new celebration of life. The experience of just being human became so precious to me. In asana class, we learn to “root to rise.” And for me the whole endeavor of Patanjali, Plato, and patriarchal reason is one-sided and lacking. There is something sacred about going deeper, lower into the muck and mud. As humans, we are angel-monkeys after all—part transcendental spirit and part stinky feet. When we don’t recognize ourselves as part of the Earth, we tend to take advantage of her. That is what I stand for today: a reawakening of the sacred that is within the Earth. It is a stand for the re-wilding of life—the affirmation of life—so that “all-encompassing Love” may be a deeply human, real-world, experience. SMF: What is your heart-offering to the world? Your biggest dreams? I want to be a reflection of universal Love, to remind everyone of their own basic goodness and inner power. SMF: Describe some of the tools in your “tool box” for when things get tough - meditations, asanas, teachings, etc. RRS: The best tool I know is to stop and get quiet. Throwing lessons or activities at challenges can seem like throwing small stones at a giant. Then, it’s just frustrating when the tough times keep coming. I find clarity only when I slow way down and listen to my inner guru. I have to get really intimate with my feelings and get really honest. Often what happens then is a deep sense of gratitude. Gratitude is the big stone that takes out the giant—right between the eyes. SMF: What does a Full Moon Goddess Gathering entail? What does the full moon symbolize to you? RRS: Goddess Gathering has had a few different incarnations. My favorite is when a bunch of women drink wine together, laugh, cry and empower each other. I like to bring a Goddess myth into the atmosphere as a topic for real-life exploration. We tell each other stories and maybe gain some insights. 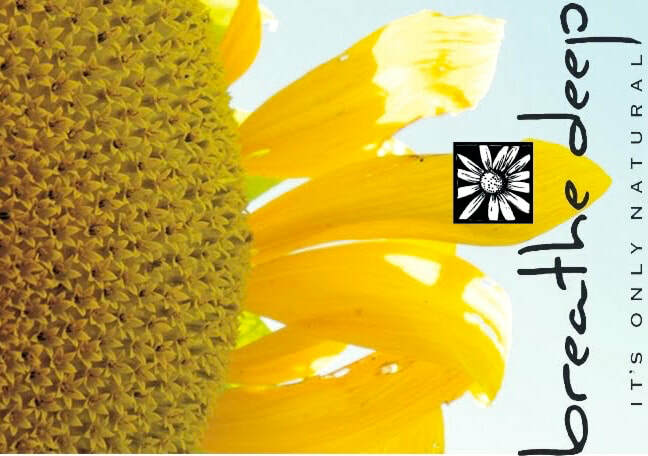 We leave feeling nurtured and inspired. Mythically, the full moon has been associated with the Mother Goddess as zoe, in her full potentiality for creative expression. For me, the full moon is just another reason to celebrate. I could just as easily celebrate a crescent moon, or a sunrise, or 10:37 on a Tuesday. SMF: Have you always been in touch with Shakti energy? SMF: What is the best way you have found to empower other women? RRS: Hands down, the best way to empower others is to remember my own inner power, every time. When I forget, I am of no service. I get envious and weird just like anyone else might. SMF: Name some challenges you’ve faced being a spiritual feminine leader in a predominantly masculine-driven world. RRS: I don’t find men trying to hold me down, actually. I find that most female oppression, these days, comes from other women. Of course there are patterns of patriarchy that remain in my psyche from the collective, and maybe childhood. Those voices sometimes tell me that I shouldn’t assert myself or that I have no right to actually “know something.” Sometimes I feel like a little kid in a 40-something body and I have to remind myself that I actually have an amazing education—both from academia and life experience. I do have gifts, ideas, and stories to share. SMF: What other things are you involved in? RRS: Truly, my PhD work can be a little isolating. These days are all about Mythology, Yoga Psychology, and my four year old daughter. SMF: Where can we find you? When/where do you teach? RRS: I’ll be out teaching more when my dissertation is done. In the meantime, I am thrilled whenever I get an opportunity to play with others. It makes my work more dynamic and living when I can share it—when I can teach the content as I am learning it. You can find my schedule online at rrshakti.com and at innerpoweryoga.info. SMF: Is there anything else you’d like to add? RRS: I am honored that you would want to ask me questions at all, let alone such good ones. 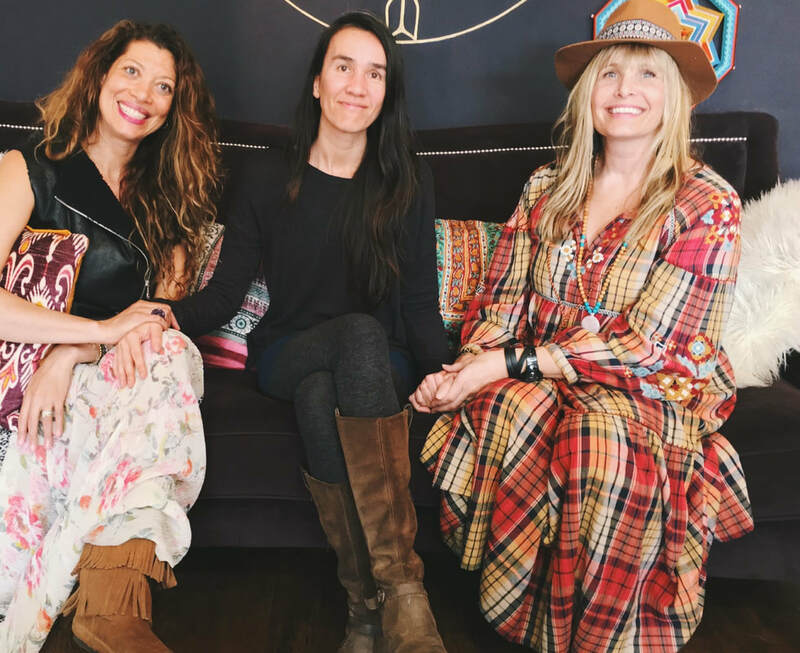 The Steamboat Movement Fest is a yoga & movement festival that creates a platform to promote wellness and positive growth in our local and global community through the intentional movement of our mind, body, and spirit. We believe positive, lasting personal and social change can only come about when we move together to evoke change that cultivates wellness in ourselves, our children, and our communities. Happy Martin Luther King Jr. Day from R.R. Shakti, PhD. Someone who stood up for what is right? Someone who brought social change? For me today, MLK represents being able to answer the question "Why?" ...as in, "Why do I do what I do?" Where am I? What am I doing? And most importantly...WHY? These questions are like a little reboot for the hard-drive. ...and realizing the deep, deep sacrifice it takes to do this PhD thing. It's crazy! I have been in school for so long now, that I don't even remember what it's like to NOT be in school. Really. Don't get me wrong, I feel grateful—blessed and excited—like Cinderella at the ball—to be working on (what is to me) one of the most valuable topics; to have had access to such brilliant minds—professors who have supported my ideas—and to literally feel mySelf expand deeper, higher and all around, on every level. What a gift!! ...Outdoor play with my quickly growing/changing only child? Because lately it seems like every day, something has to give. Lately it seems like the sacrifice is just too great, and I find myself on a tightrope, juggling all my most precious things. So this is when I ask myself, WHY AM I DOING THIS, ANYWAY!!? And then I remember: I HAVE A DREAM! I believe that we don't HAVE energy, but we ARE energy. I believe that energy is ultimately LOVE; which means that our true nature is infinite LOVE. I believe that we each have an authentic and truly amazing dream of reminding each other of our true nature as infinite LOVE. ...and that when we are empowered to remember ourselves and remind each other, the impact on this world is transformational and real. And I have a dream that if I stand firm in my dream—if I stay the course with honesty, humility and authenticity—you will stand firm in your dream too. Then we learn and grow together in LOVE. So, I close my eyes and take a breath. I grab my coat, my boots, and hat...and all of Marley's things too. I step out into the sunshine with my daughter. I breathe out, as I walk this high wire, juggling...adjusting and readjusting to keep my balance, one moment at a time. Every day, something has to give. But for this moment I am infinite, and my most precious thing is LOVE. ...and that is why I do what I do.